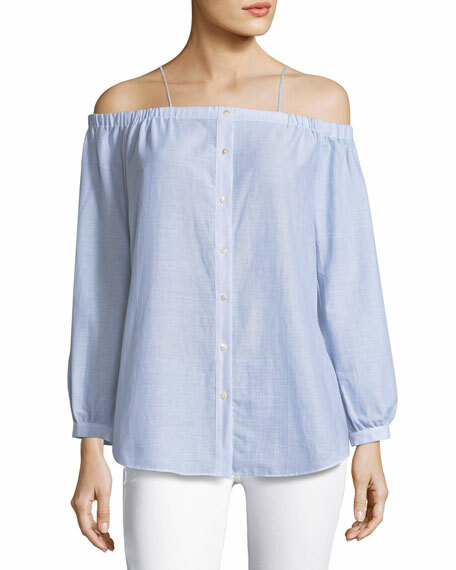 Haute Hippie "Vivian" top in narrow-striped poplin. 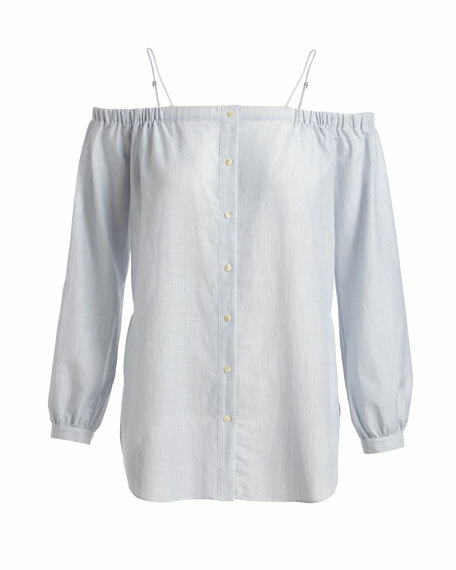 Square neckline; elasticized at shoulders and back. 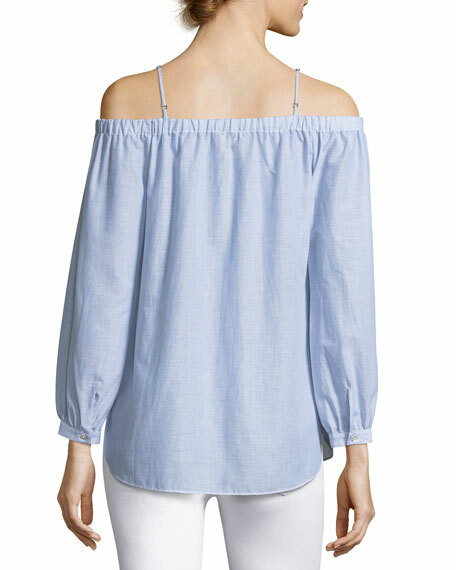 Cold shoulders; adjustable spaghetti straps. For in-store inquiries, use sku #2222817.